I do not know if readers are aware of the story where this senior Australian man who wanted a taste of the Kek Seng durian icecream before he died? He was formerly stationed in Penang under the Royal Australian Airforce F (not sure the F stands for what 😛 ) and before he died, he expressed his wish to have a taste of the durian ice-cream. 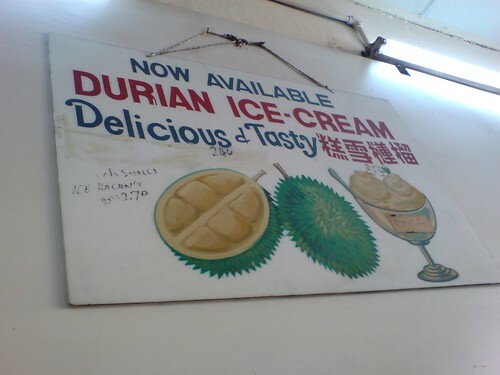 Unfortunately, with Australia very strict customs, the durian ice-cream did not reach him in time. 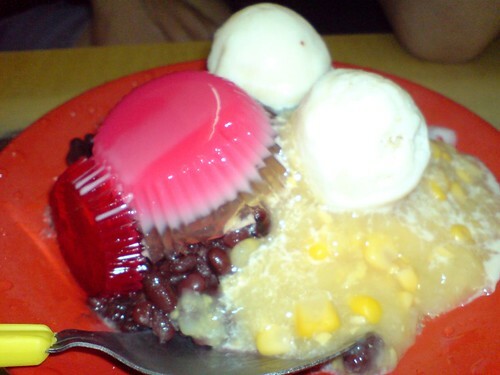 So, ladies and gentlemen, this is the ice-kacang with two durian ice-cream that is found from Kek Seng coffeeshop. It is that dinghy kopitiam on Penang road, right across Komtar. Royal Australian Air Force (RAAF). I was just wondering if you knew whether it is bad to eat durian and drink beer at the same time as I heard that people have died from it? Is that true or is it an old wives tale? My grandmother in Malaysia apparently knew someone who died from it.